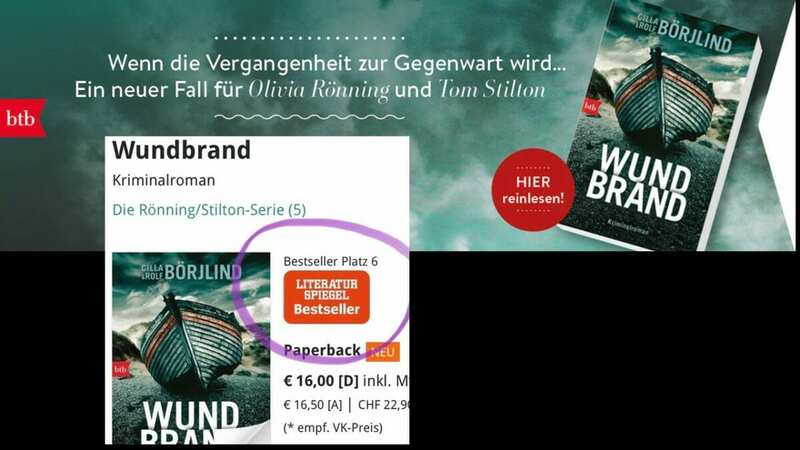 Four days after the German release, and WUNDBRAND (Gangrene) is already no 6 on Der Spiegel top list. With such a start for the fifth novel in the Stilton/Rönning series, where will this end? A big congratulation to Cilla and Rolf Börjlind. And grand thanks to the crew at btb/Randomhouse for a great publishing start.